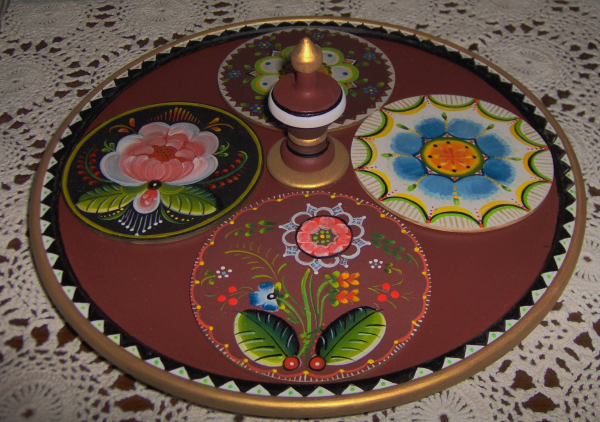 Unfinished, 12 inch Coaster display plate, available with 4 coasters large button feet, and decorative knob. This is a wonderful piece to design a theme for any style of painting. Turned basswood. Click to view pattern packet for coasters.